4th & 5th grade parents mark your calendars for Sunday, May 5th. 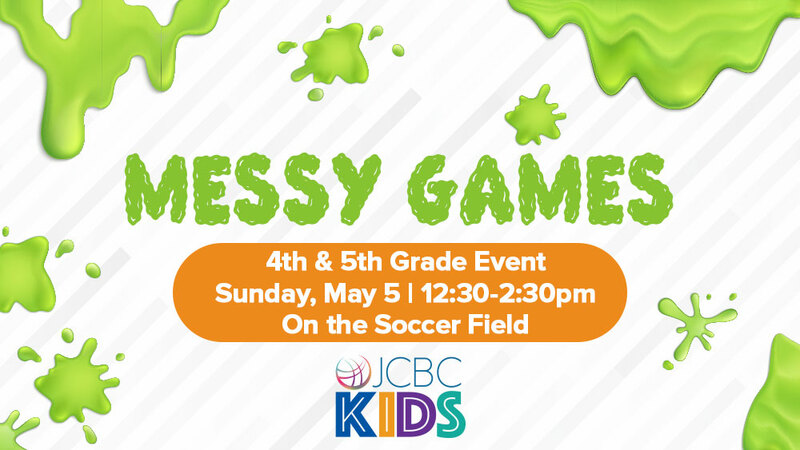 The Children’s Ministry invites your kids to join us for the “Messy Games” immediately after church. Pizza will be provided for lunch and we have lots of fun activities planned on the soccer field. Remind your children to bring a change of clothes they don’t mind getting dirty! *Rain plan: movie day in children’s fellowship hall!